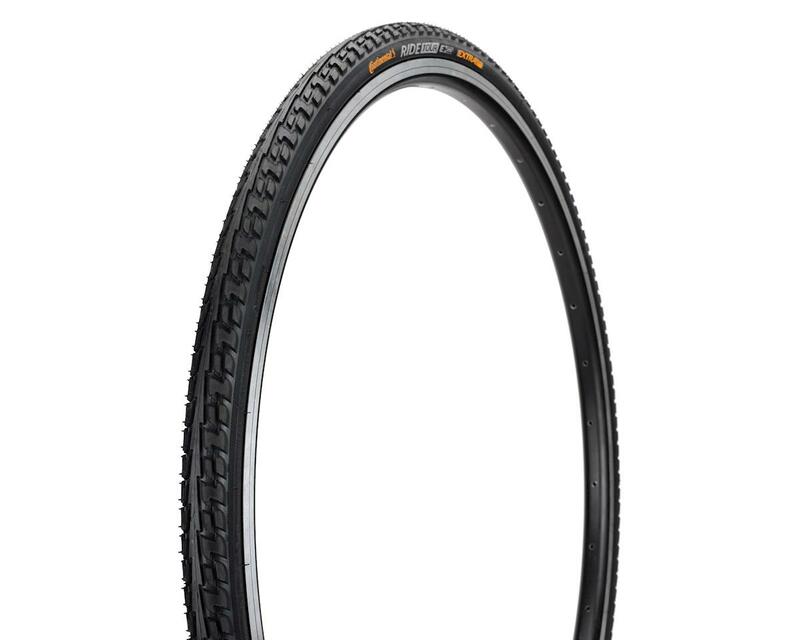 For superb durability, reliability, and puncture resistance in your commuting/touring/trekking endeavors, choose the Continental Ride Tour Tire. 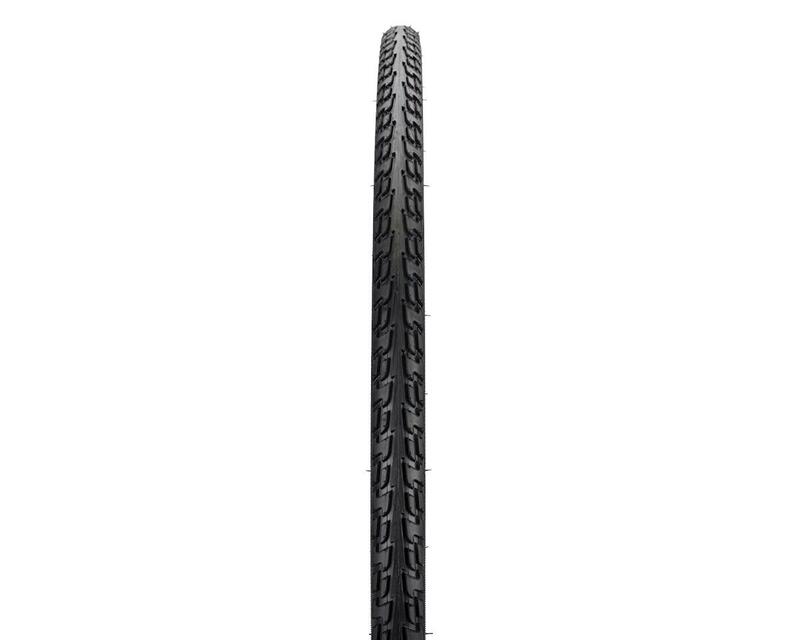 The super-durable tread compound is ideal for putting in plenty of miles while its tread pattern ensures low rolling resistance for straight-line speed while the edges deliver ample traction in wet conditions or on dirt roads. 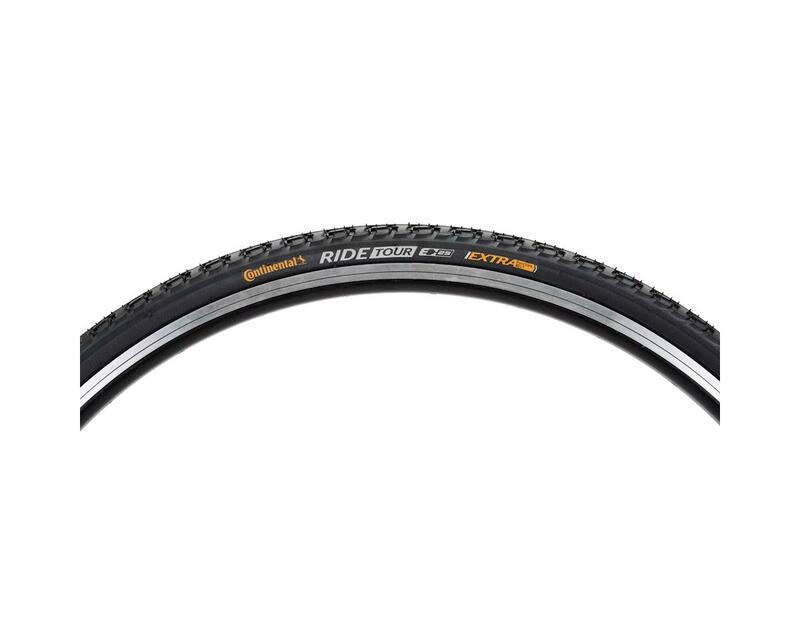 A puncture-resistant belt helps reduce the occurrence of flats, particularly of importance when venturing out on rougher surfaces, and a wide variety of size options ensures there's a Ride Tour tire for your bike.